D.C. Spiteri, K. Borg, P. Parnis (S. Dimech), J. Grima, O. Curmi, D. Martins De Souza, J.J. Sandobal Guarin, G. Muscat, S. Muscat (M. Debrincat), B. Polo Longarela, A. Ademilua..
Camilleri, J. Azzopardi (M. Xerri), S.A. Martinez Villa, C. Antunes Pavlidis, G. Hili, J. Cefai Bonnici (T. Grech), J.M. Vella, M. Camilleri, J. Saliba (L. Cilia), M. Stojanovic, H.T. Barbosa Honorato. 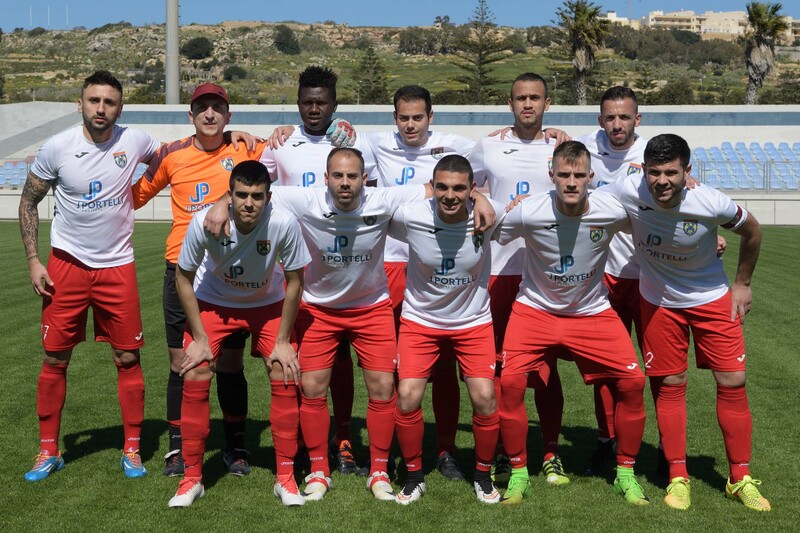 Munxar Falcons earned three very important points with a win in their match against Xewkija Tigers so that they regained some confidence that they can still aim for a first division status next season. 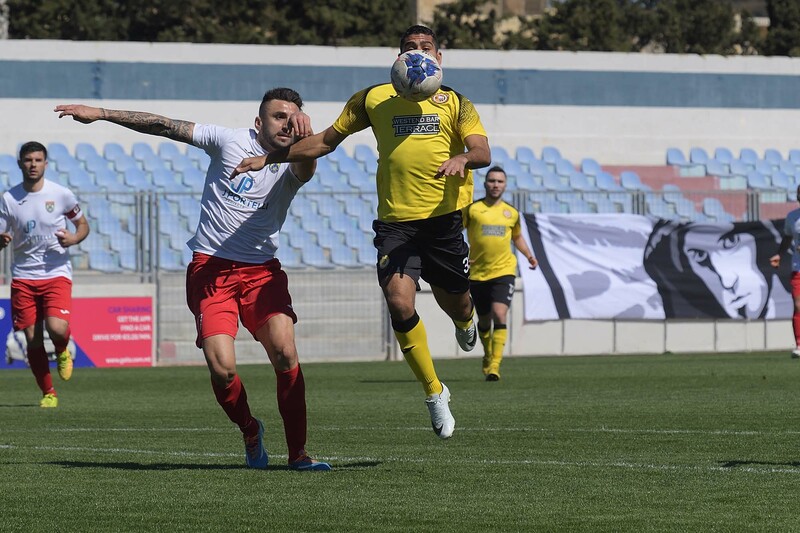 The two sides were aiming for a positive result from this encounter as Xewjkija were coming from a disappointing defeat in their previous match while Munxar are currently struggling with other three teams in the relegation zone. Munxar came out more aggressive and opened a two-goal lead but Xewkija had a good reaction and turned the result in their favour by the end of the first half. 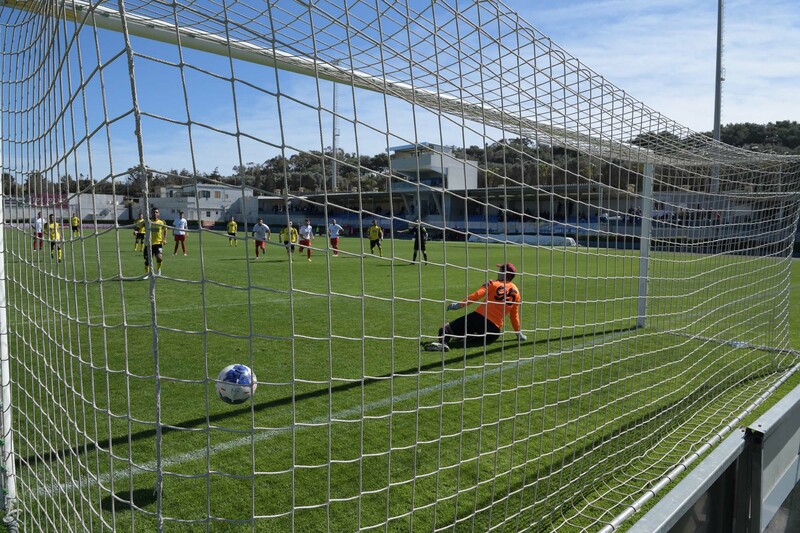 The two sides scored a goal each during the opening stages of the second half but the turning point of the encounter was before the hour mark when Xewkija were awarded a penalty but Munxar’s keeper saved the shot from the spot kick and filled his side with confidence so that during the final part of the match they regained control of play and turned the result in their favour by scoring two goals. 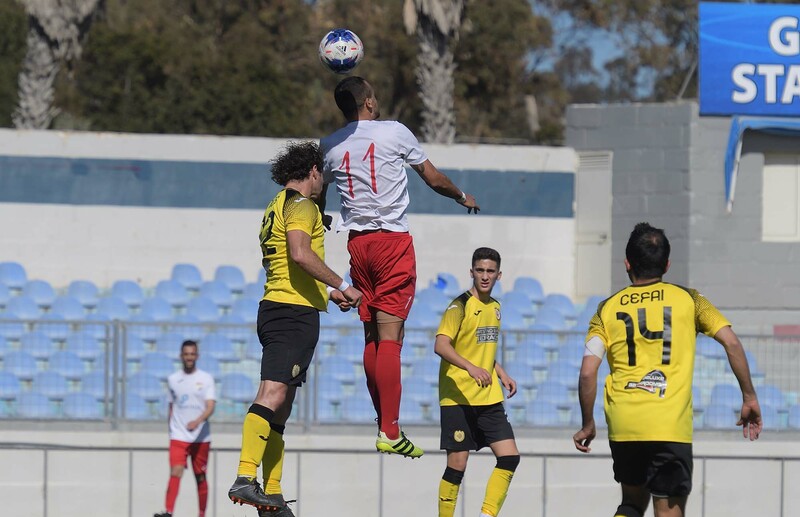 Xewkija, who registered a large win over Munxar in the match between the two sides of the first round, came out with the ambition to obtain another easy win. In the third minute of play they were also dangerous through a free kick by Claudio Antunes that ended just wide. Munxar however, had other intention and on the fourth minute Borja Polo Longarela unmarked Sanwel Muscat who entered the area but his lob aimed towards an open goal ended high. 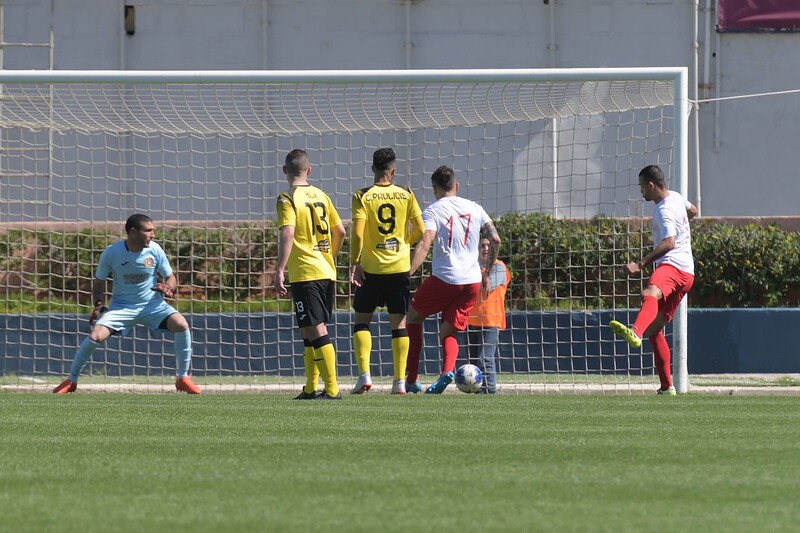 Munxar opened the score two minutes later through a tap-in by Borja Polo Longarela following a personal action within Xewkija’s area by Diego Martins De Souza. Four minutes later Xewkija protested for a penalty when Halleson Tiago Barbosa Honorato ended on the floor inside Munxar’s area when he tried to pass Jhon Jario Sandobal Guarin and on 16 minutes Munxar doubled the score through a header by Jhon Jario Sandobal Guarin following a corner kick by Joseph Grima. Xewkija were not demoralised and on 23 minutes they went again close to scoring but a free kick by Claudio Antunes ended wide. 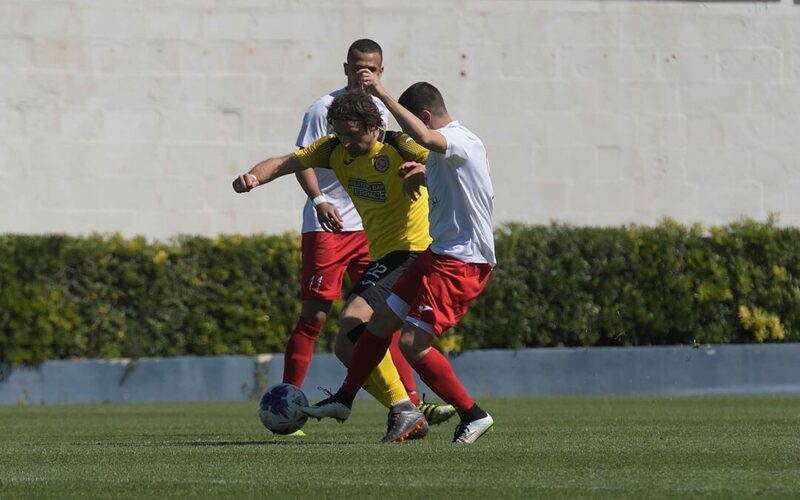 Xewkija reduced the score on 29 minutes through a close ranged header by Halleson Tiago Barbosa Honorato following a corner kick by Joseph Mario Vella. 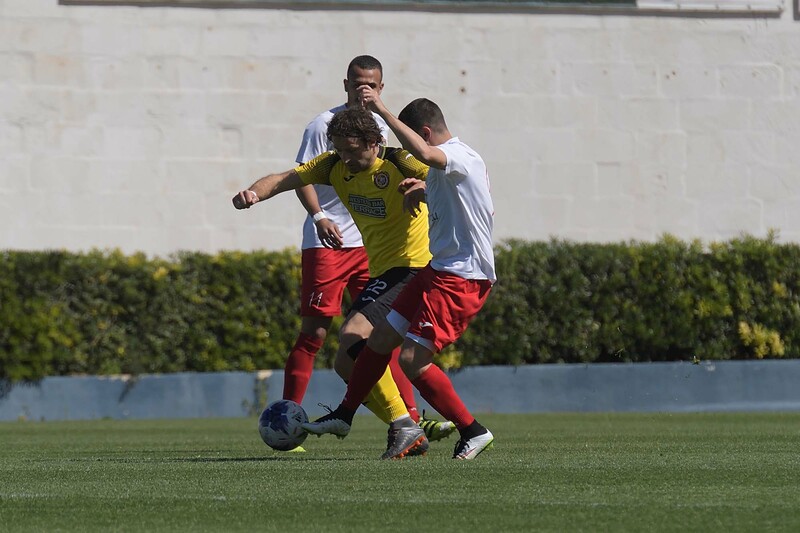 Munxar continued to suffer Xewkija’s pressure and on 33 minutes Milos Stojanovic headed inside Munxar’s area towards Michael Camilleri but the latter had his attempt blocked in time by the defence. 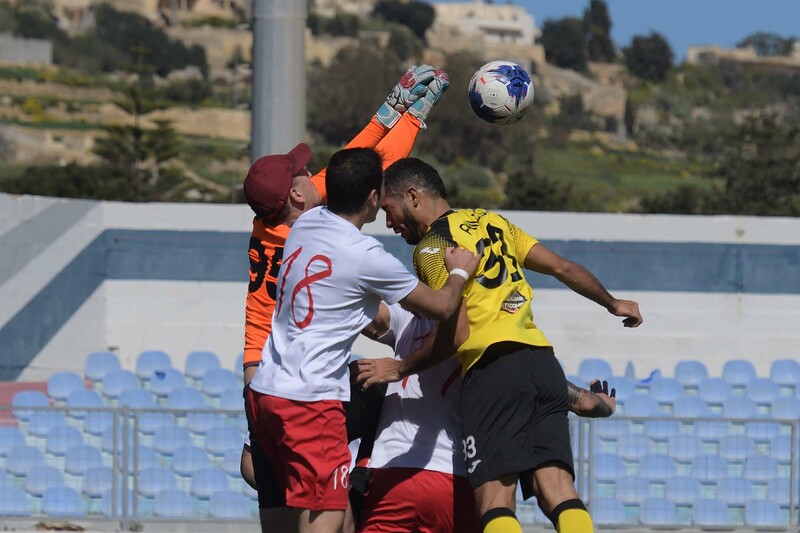 Xewkija however levelled the score three minutes later when a header by Michael Camilleri following a cross by Gennaro Hili ended in goal despite the attempt of the goalkeeper to clear the ball from the goal line. On 43 minutes Xewkija took the lead when the referee awarded a penalty for handling by Jhon Jario Sandobal Guarin and Halleson Tiago Barbosa Honorato converted from the spot kick. In the first minute of stoppage time before half time Xewkija could have added another goal but a header by Sergio Arturo Martinez Villa from a corner action ended just high. After the break Xewkija continued to dictate matter and in the first minute of play of the second period Xewkija went again very close to score another goal but a shot by Milos Stojanovic was well saved by goalie Damien Spiteri. Xewkija scored their fourth goal on 48 minutes with a low shot by Milos Stojanovic after receiving from Claudio Antunes and among protests by Munxar’s players who alleged that Claudio Antuens operated hi move when the ball crossed the lateral line Munxar managed to re-open the issue just three minutes later as Borja Polo Longarela scored the third goal for Munxar with a close ranged header following a corner kick by Samwel Muscat. On 52 minutes Xewkija had an opportunity to regain a two-goal lead when the referee awarded a penalty for a foul by Keith Borg on Michael Camilleri but Halleson Tiago Barbosa Honorato had his shot from the spot kick saved by goalie Damien Spiteri. The match became nervous and Munxar also had their coach and a player sent off from the substitute’s bench, while Xewkija could have made up for the mistake form the spot kick on 57 minutes but a shot form a good position by Claudio Antunes following a corner action was saved to another corner by goalie Damien Spiteri. On 61 minutes Munxar’s Borja Polo Longarela had an attempt form a free kick that was saved to a corner with difficulty by goalie Leonard Camilleri and in the following minutes Xewkija had two good scoring opportunities on separate occasions through Claudio Antunes, but the Brazilian striker saw his two attempts ending wide. Xewkija were punished for the missed chances as Munxar clinched the equaliser on 78 minutes when Diego Martins De Souza controlled a long pass from the midfield by Jhon Jario Sandobal Guarin and the former placed in goal with a fine shot. Munxar increased their efforts and on 81 minutes they scored the ninth and decisive goal of the encounter when a shot by Diego Martins De Souza was partially saved by Xewkija’s keeper Leonard Camilleri and from the same action, De Souza took the ball outside the area and form his cross Borja Polo Longarela head past the goalkeeper. 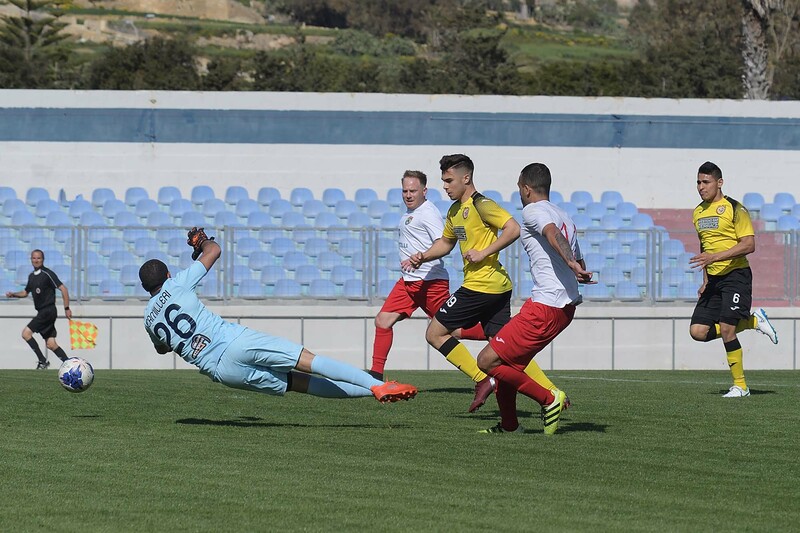 During the remaining minutes Xewkija tried to save the result but their reaction was sterile and Munxar managed to defend well until the final whistle.